Yesterday, we shared news of the TAG Heuer Connected Modular 45, a part of the company’s Carrera line and the latest smartwatch from TAG Heuer, one that takes on the modular trend of the moment in order to create a timepiece that is both techie and haute horlogerie. 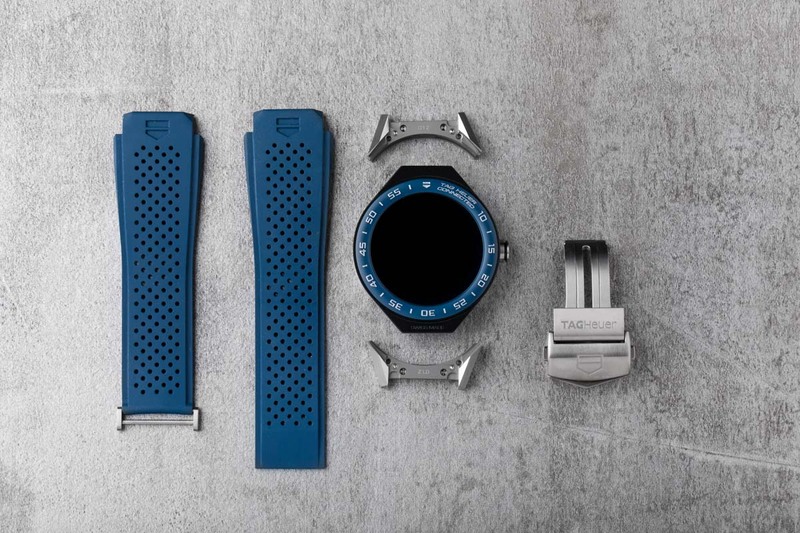 It’s both a smartwatch and a mechanical watch. The watch, as a smartwatch, features a 1.39-inch AMOLED display powered by an Intel chipset and Android Wear 2.0 (with NFC). It also features GPS, 512MB RAM, 4GB storage, Bluetooth, WiFi, and 5ATM water resistance, but doesn’t carry the cellular component of watches like LG’s Watch Sport. It’s very much an updated model to the original TAG Heuer Connected. The Connected Modular 45 stands out because of that previously mentioned modularity. 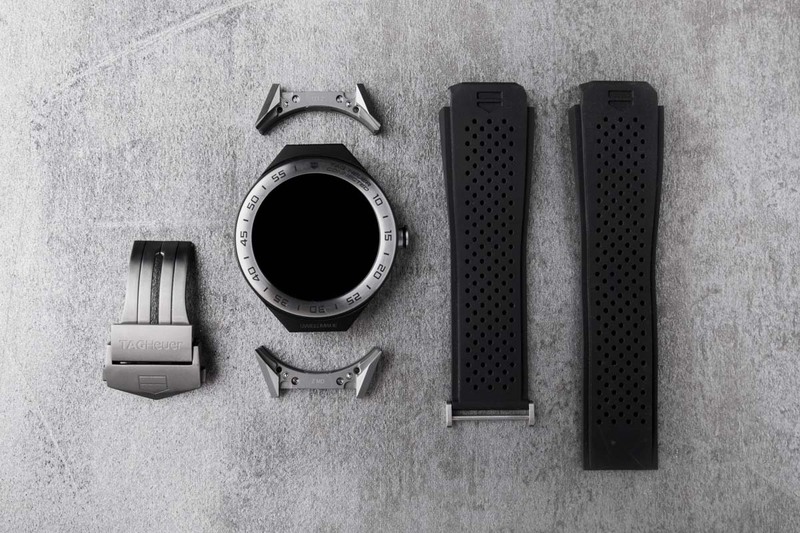 Instead of a 2-year swap-out program, like we saw with the original Connected, where owners get to trade-in their smartwatch to TAG Heuer, hand over another $1,500, and receive a mechanical watch replacement, the Modular 45 allows owners to do the swapping. 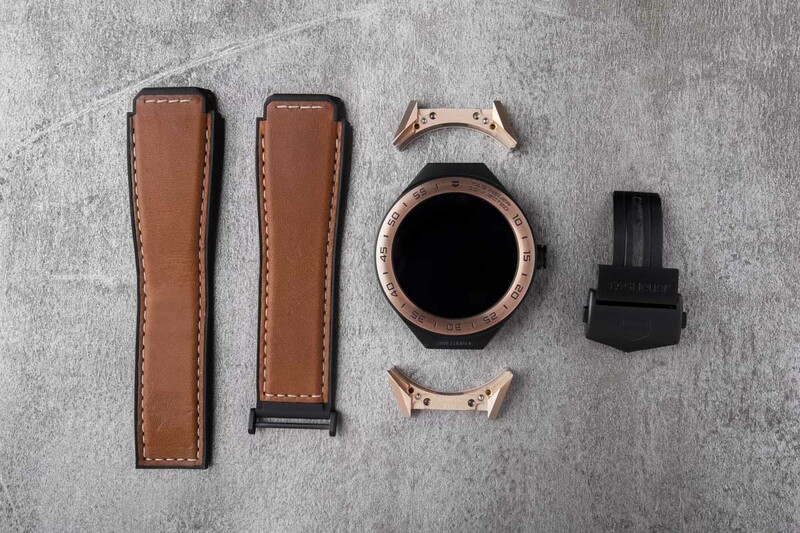 The Connected Modular 45 can be turned into a mechanical watch by swapping out the Connected module for a traditional timepiece (sold separately), along with the lugs, strap, and buckle. The images below shows you some of the options. As for options, the TAG Heuer Connected Modular 45 comes in a variety of cases that feature rose gold, ceramic, aluminum, or steel. You’ll find numerous strap, lugs, and buckles as well, with options like rubber or calfskin, titanium or PVD. If you head over to TAG Heuer’s site, you can see all of the combinations that range in price from $1,650 to over $7,000. Finally, TAG Heuer is introducing at least 30 watch dials that pull from historical timepieces and other trends, while also giving owners the chance to create their own custom dials in the TAG Heuer Studio. 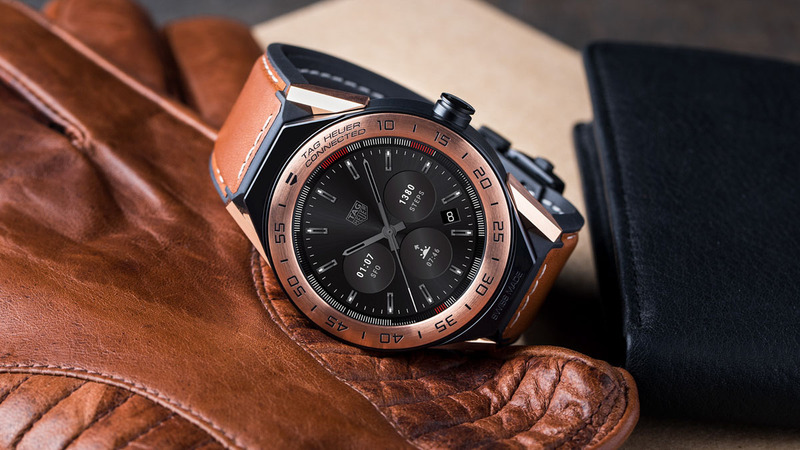 You can buy the TAG Heuer Connected Modular 45 at TAG Heuer’s site today or participating retailers.